This book invites readers to join the author on a haunting journey to Japan where they will encounter a landscape rich with natural beauty, history, literature, culture, and contemporary Japanese people. Weaving photographs, diary entries, and poems, it enters the territory of the heart—a place as ordinary as a sprig of lavender and as large as the universe. Carolyn Locke is a graduate of Bates College and holds an MFA in the Creative Writing program from Goddard College. 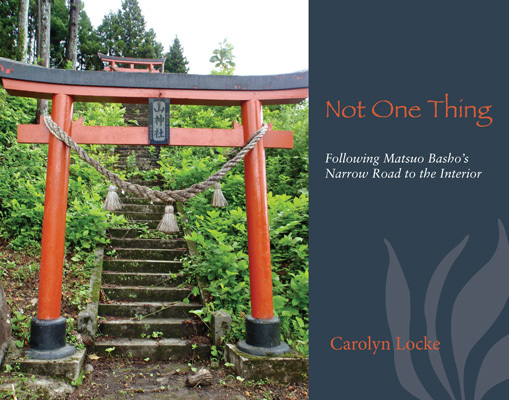 Locke enters new territory in her second book, Not One Thing, where she has combined prose, poetry, and photography to explore a journey that took her from Maine to Japan and ultimately led to the heart of what matters. Also by Carolyn Locke: Always this Falling.